Page Jump: ========== 1 - Looking into an extra dimension 2 - Just how well does it work? 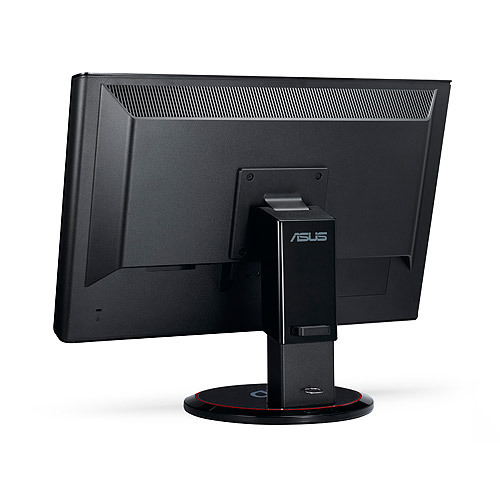 ASUS has bought into NVIDIA's 3D Vision ecosystem with the release of two 23in monitors. Known as the VG236H for the package which includes NVIDIA's 3D Vision kit and VG236HE for the standalone 3D monitor, the fully-loaded bundle, which throws in 3D glasses and infrared transmitter, currently retails for £390. The standalone monitor, meanwhile, is available for £270. Why so expensive when quality 23in, 1,920x1,080-resolution monitors can be picked up for half that amount? The requirements for NVIDIA's 3D Vision dictate that supporting monitors be able to pump out a super-lush 120Hz refresh rate - double that of most regular monitors - in order to keep a smooth 60Hz rate coming to each eye. The 3D Vision kit retails at £125 on its own, so add in these two factors together and while £390 is still a bitter pill to swallow for a 23in monitor, you can see where most of the extra cost is apportioned in the top-line bundle. TN panel on a £400 monitor? ASUS specifies a twisted-nematic (TN) panel for the VG236H. Primarily used for its fast response time and consequently quick grey-to-grey (G2G) transitions, it's a good choice for a 120Hz monitor. On the downside, TN screens tend to output colour using six bits per channel, thus natively producing just 262K gradations compared with 16.7M for the more-common 24-bit panels. The VG236H gets around this lack of colour fidelity by using a dithering technique called frame-rate control, where the panel runs through different shades with each new refresh to simulate intermediate colours that it can't produce natively. TN panels are documented to have other shortcomings, notably a poor colour gamut and uneven backlighting. ASUS, though, does a pretty good job at alleviating these issues, as you will see later on in the review. First impressions are favourable. The 23in VG236H is a solidly-built screen that is, subjectively, rather attractive. The bezel, while large, has a graceful angularity to it, providing sleek lines with a minimalist appearance. But the same sleekness causes the six buttons on the bottom-right-hand side, controlling the screen's settings, to be difficult to differentiate unless peering closely at the silkscreened writing just above. The base attaches on with one screw and enables the monitor to be tilted between -5° and 15° from vertical. The height adjustment ranges from 7cm above the base to 18cm, providing plenty of leeway, but there's no way to properly lock the monitor to any height other than minimum. Rather, it relies on a spring-loaded mechanism to keep it at the height of your choice. 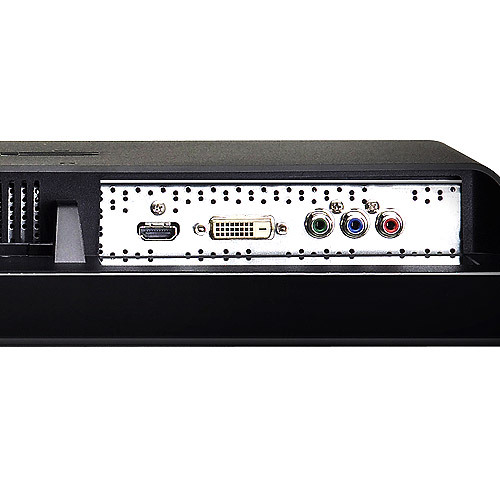 Flip it around and the VG236H packs in dual-link DVI, HDMI and component connections. If using the monitor as a 3D display, which is the entire point, it must be connected to a compatible NVIDIA GeForce card over DVI. 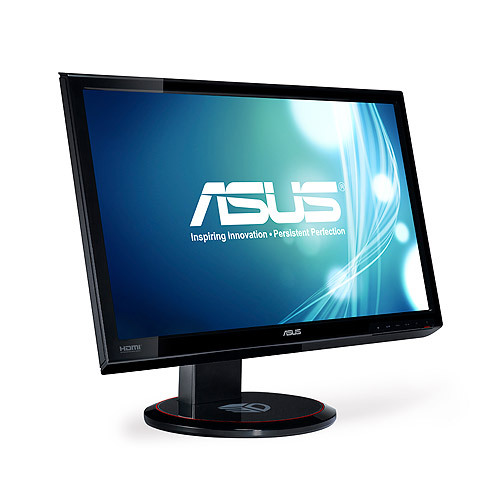 Newer GeForces support 3D-over-HDMI through the v1.4a specification, but ASUS's screen doesn't have the necessary HDMI revision on the monitor side. This is no major drawback as the display doesn't have speakers - an instance where HDMI would be a benefit over DVI.